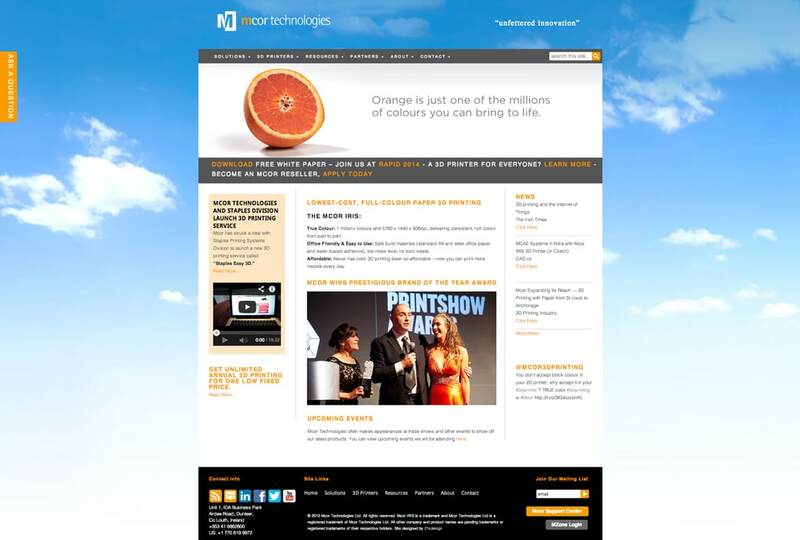 Mcor Technologies most important marketing tool is the website we created for them. 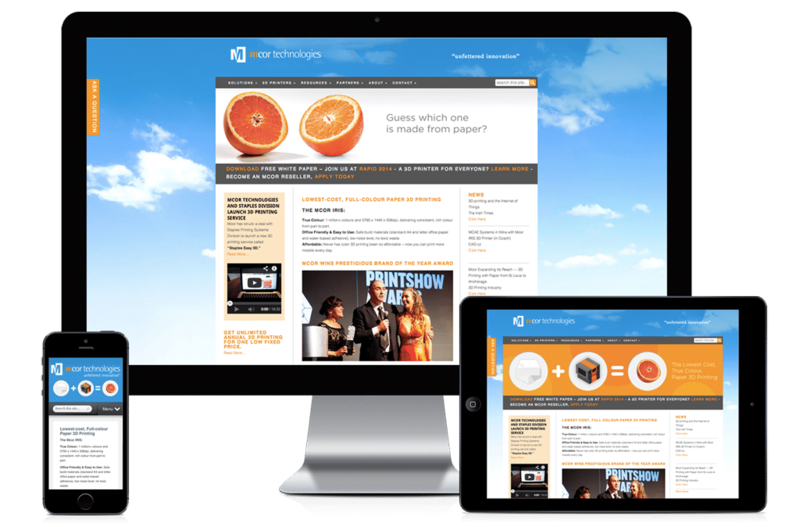 It is the main portal for their target audience to learn about the company. Over the years the website has grown to accommodate Mcor's growth and facilitate their customer's desire to learn more about and to interact with Mcor Technologies. The current version of the website has been developed using WordPress as a comprehensive CMS that allows the client to update and keep current all aspects of the website in real-time. 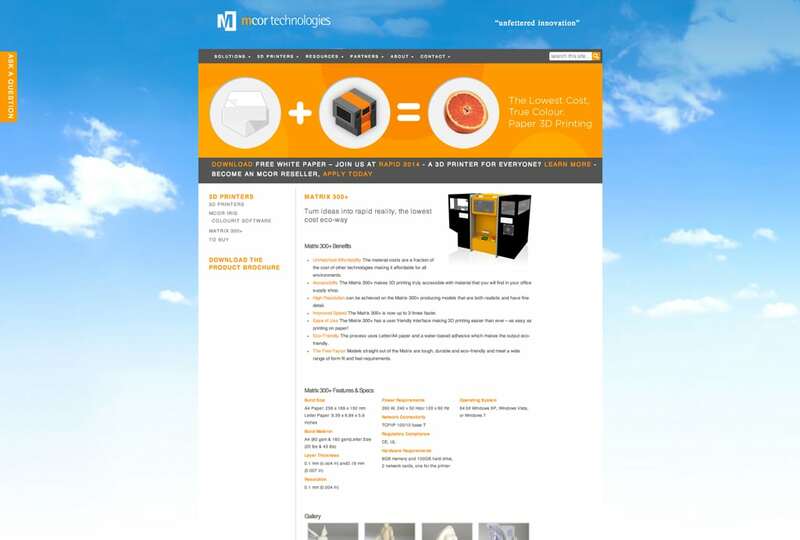 Mcor's website is part of the overall branding we developed for them which encompasses: identity, stationery, environmental signage, Mcor vehicles, T-shirts and sundry marketing materials, as well as various dimensional implementations on the actual machines. In addition, we also design Mcor's exhibition stands and show graphics. 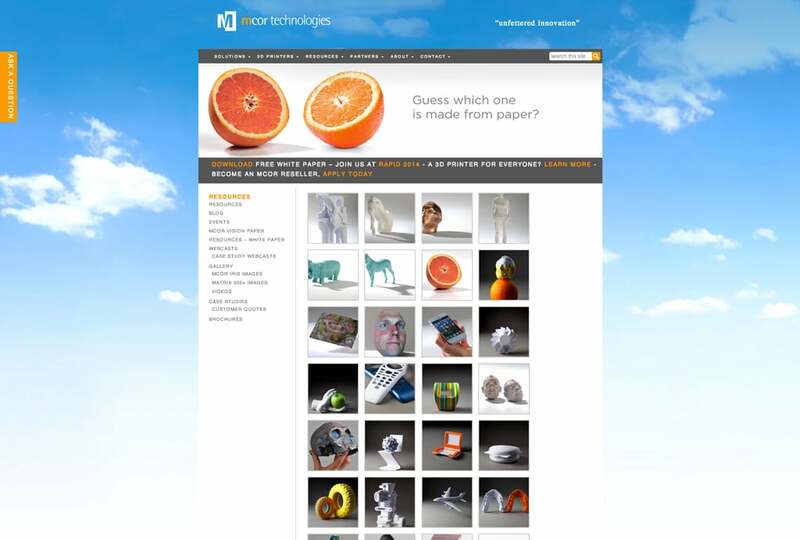 The Client: Mcor Technologies, based in Ireland, is an innovative manufacturer of the world’s most affordable, full-color and eco-friendly 3D printers.